All About Pokemon Figure (AAPF): Genesect will Come Soon ? Genesect will Come Soon ? Genesect (and related event) will be announced in the middle of July or middle of August 2012 officially by the following two evidence. 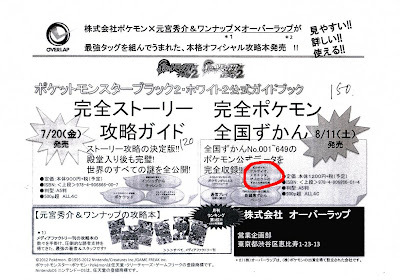 AAPF reasons that Genesect (and related event) will be announced in the middle of July or middle of August 2012 officially by the following two evidence. Upload CoroCoro August scanning page, see this article. Video : Rola just sings short phrase of Memories on TV is uploaded. Release date of Pokemon figure Tomy MC Hyper size (Kyurem, Reshiram, Zekrom) have been changed, it's 14 July 2012. 15 June 2012 : Edited the text content. interesting, very interesting, a very wonderful and full of pokemon stuff this year will be. My crurioys totally shifts to this from B2W2 too now.